Migration Celebration is held annually during the month of April in Southern Brazoria County, Texas. Migration Celebration is a U.S. 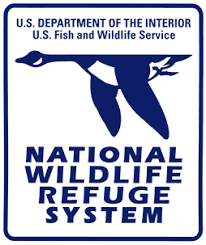 Fish and Wildlife Service event from the Texas Mid-coast National Wildlife Complex, and is underwritten by the Friends of the Brazoria Wildlife Refuges. Migration Celebration activities are centered around a two-day, activity packed event on the San Bernard National Wildlife Refuge, but formally begin with a featured speaker and fundraising dinner at Freeport RiverPlace, located at the Freeport Municipal Park in Freeport, Texas. Migration Celebration began as a birding festival, but has grown over time into a family nature festival; with events and presentations designed for more introductory level participation. However, several trail and van tours offer excellent birding opportunities for all experience levels and ages. With the exception of the fundraising kickoff dinner and the food and bake sales on event days, all other Migration Celebration events, tours, presentations, and activities are free to the public. This is made possible by the generous donations of time and money by our sponsors, partner organizations, and volunteers. 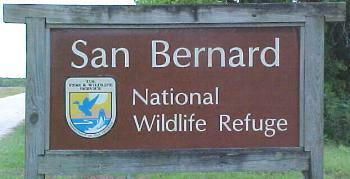 Most Migration Celebration activities are located at, or near, the San Bernard National Wildlife Refuge Headquarters Campus, near the main entrance to the Refuge. Get your Migration Celebration Venue Map here. ​Printed schedules and maps are available at the Information Booth at no charge. ​take a golf cart shuttle or walk, if desired, to the refuge entrance. Preferential handicapped parking is available. The Information Booth is located at the far west end of the parking lot. If this is your first visit to Migration Celebration, make this your first stop! Most activities are located within walking distance of the Information Booth. You will also be able to sign up for tours here. All shuttle vans and tours depart from and return to the Van Stop near the Information Booth. Pick up a free Junior Naturalist Passport at the Volunteer Registration Tent near the Information Booth. West Brazos Emergency Medical Services personnel will be on duty at their exhibit throughout Migration Celebration. Even if you don't need First Aid services, stop by and take a look at their facilities!